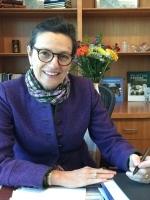 Ms. Bettina Tucci Bartsiotas was appointed Assistant Secretary-General, Controller of the United Nations in February 2015 and has been serving as Acting Under-Secretary-General for Management since 16 May 2017. Born in Uruguay, and a dual national from Uruguay and the United States, Ms. Bartsiotas holds an MBA in finance and investments from George Washington University and a BA in economics and business administration from the American University in Washington, D.C.
OPPBA provides strategic value-added services for programme planning and budgeting for the programme and peacekeeping budgets and voluntary contributions, accounting, treasury and financial information operations services. The budget covers the costs of United Nations programmes in areas such as political affairs, international justice and law, international cooperation for development, public information, human rights and humanitarian affairs. 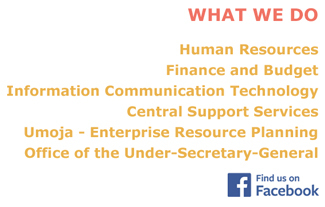 The main source of funds for the regular budget is the contributions of member states. The scale of assessments is based is the capacity of countries to pay. This is determined by considering their relative shares of total gross national product, adjusted to take into account a number of factors, including their per capita incomes. In addition to the regular budget, member states are assessed for the costs of the international tribunals and, in accordance with a modified version of the basic scale, for the costs of peacekeeping operations.